New Online Rand Casinos flooded the market in the latter part of 2016 through to 2017. Its great that players from South Africa now have a wider choice when it comes to an online casino that accepts rand currency. Although many of the New Online Rand Casinos are RTG Casinos casinos which tend to offer the same suite of games - the beauty of it is that most of them also offer no deposit bonuses and different welcome bonuses so you will always find something different at each one of the casinos. Jack Million and Punt Casino are our Newest RTG Rand Casino listings, followed by G'Day Casino and Hello Casino that offers Netent Games which are new to the Rand Casino industry. 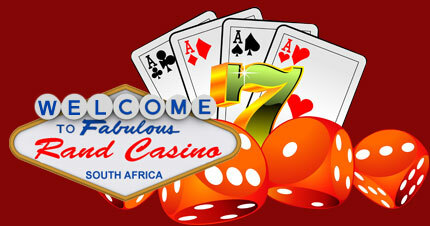 Winner Casino now also offers Rand currency. Looking for a New Rand Casino? If so, then let us introduce Hello Casino that was launched towards the end of 2016. Hello Casino accepts deposits and play in Rand Currency and are giving all New rand Players 25 Free Spins on the House, just for signing up. There is also a 100% 1st deposit bonus up to R1000.00 plus a further 50 Free spins up for grabs. There is a huge selection of casino games from different slot providers, so you won't have a dull moment at Hello Casino. 300% Match Bonus up to R6000.00 for New Players. New Players can Get R250.00 Free - No Deposit Required. New Rand RTG Casino that was launched in June 2017. The full suite of RTG Games is available and players can play the download version, flash version or on their mobile phone or tablet. Receive Bonuses up to R12 000.00. Use Bonus Code JACKWELCOME. Play is also available on mobile phones and tablet devices. New Rand Online Casino that offers games from many different software providers like Netent, NYX Gaming and more. New Players can claim 25 Free Spins with No Deposit required and then a 100% bonus up to R1000.00 plus a further 50 Free Spins. New Rand Online Casino that offers RTG Games. New Players can claim R300.00 Free - White Lotus No Deposit Bonus but you must enter the coupon code R300NEW in the Cashier section to claim. New Rand Online Casino that offers RTG Games. New Players can claim R200.00 Free - Apollo Slots No Deposit Bonus but you must enter the coupon code APL200F in the Cashier section to claim. New Rand Online Casino that offers Netent Games and other software providers. They accept deposits and play in Rands. New RTG Casino for Rand Players. 100% Welcome Bonus up to R6 000.00 on 1st deposit plus you can claim this 5 times in total! 100% Welcome Bonus up to R2500.00 on 1st 4 deposits. A Total of R10 000.00 can be claimed. New Playtech Casino - Sister Casino to the popular Casino.com.